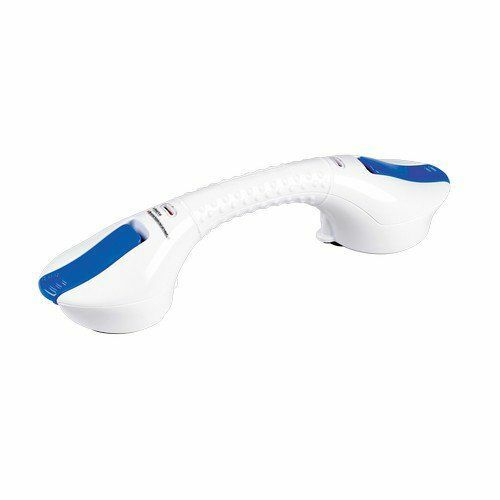 The EasyBar suction grab rail offers a sturdy and safe support to the user without having to screw t.. 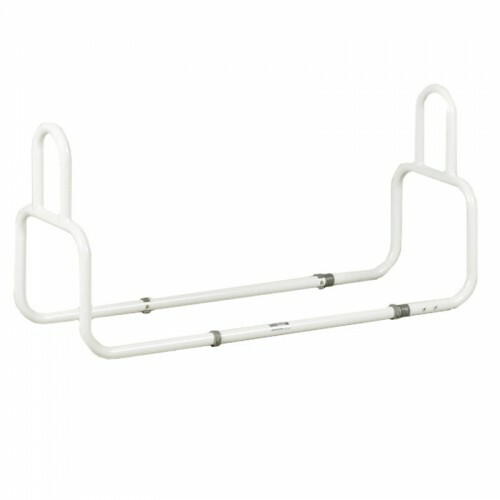 This bed grab rail has a double loop to assist users getting in and out of the bed. Fits securely un..
A powder coated steel toilet surround which provides extra support and safety when lowering and raising. Comprises of two moulded plastic armrests for additional comfort. 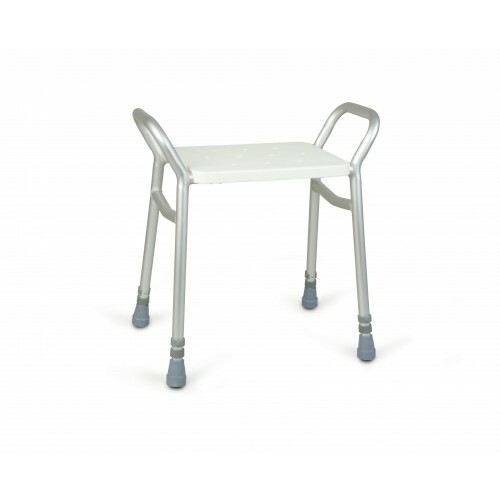 Supplied without floor fixing feet. End up paying only €39.84 after claiming the VAT back for this product. Click here for more information. 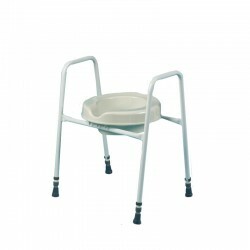 This plastic coated steel toilet frame has a removable moulded seat, which easily clips on and off for cleaning. 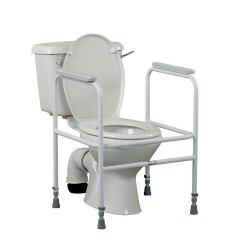 The seat height can be adjusted to suit the individual or the surroundings. This product may be referenced by 09-135-7052, 091357052, 510D or DM510D ..
A powder coated steel toilet surround which provides extra support and safety when lowering and raising. Comprises of two moulded plastic armrests for additional comfort. Supplied without floor fixing feet. This product may be referenced by 09-132-5711, 091325711 or 503A ..